The Cal Poly Rodeo Program’s sole purpose is to maximize opportunities for the success of its student-athletes both in and out of the arena. With its rich history and deeply rooted traditions, this program seeks to promote and preserve the western way of life through educating others and leading by example. Cal Poly Rodeo has a legacy of instilling student-athletes with traits such as teamwork, responsibility, discipline, and integrity while pursuing national rodeo titles and a world-class education. Gifts to Cal Poly programs are made through the Cal Poly Foundation. The Cal Poly Foundation is a 501(c)(3) tax-exempt charitable organization that manages private funds to advance Cal Poly's mission. The Foundation's legal/corporate name is The California Polytechnic State University Foundation and its federal tax identification number is 20-4927897. Note: In the memo field write "Cal Poly Rodeo Donation" and specify a specific area of the program if you wish. The Cal Poly Rodeo Team and Poly Royal Rodeo would not be possible without the program’s valued sponsors, and we would like to extend our appreciation to our past donors. The 77th and 78th annual Poly Royal Rodeos made history with the move to Spanos Stadium and sold-out performances to crowds with over 12,000 fans. Below you will find information on our new Partnership Program and the upcoming 2019 Poly Royal Rodeo. Poly Royal Rodeo has made many advancements in the past years and with your help, can make this year even bigger and better. Please note that the deadline is March 13, 2019! THE DEADLINE TO SPONSOR THE 2019 POLY ROYAL RODEO HAS PASSED. Any sponsorships (and benefits) received after April 1, 2019 will be counted toward the 2020 Poly Royal Rodeo. The Cal Poly Rodeo program would not be what it is today without the support of Cal Poly Rodeo Boosters and our alumni. Since 1972, the Boosters have worked to improve the Cal Poly Rodeo program by providing scholarships, hosting events and assisting with facility improvements. 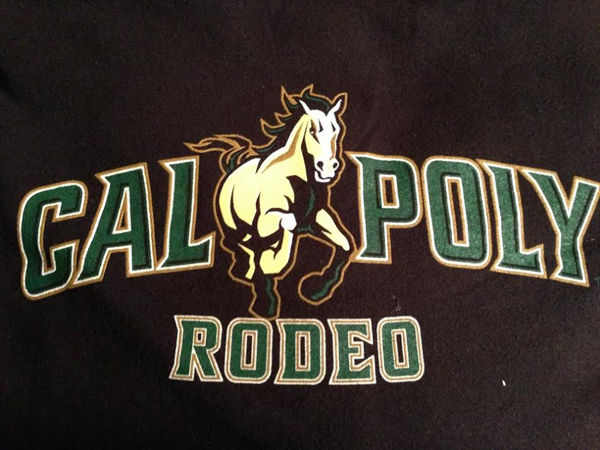 Show your support for the Cal Poly Rodeo program by purchasing official Cal Poly Rodeo merchandise here. Poly Royal apparel will be sold during both nights of the rodeo this year!